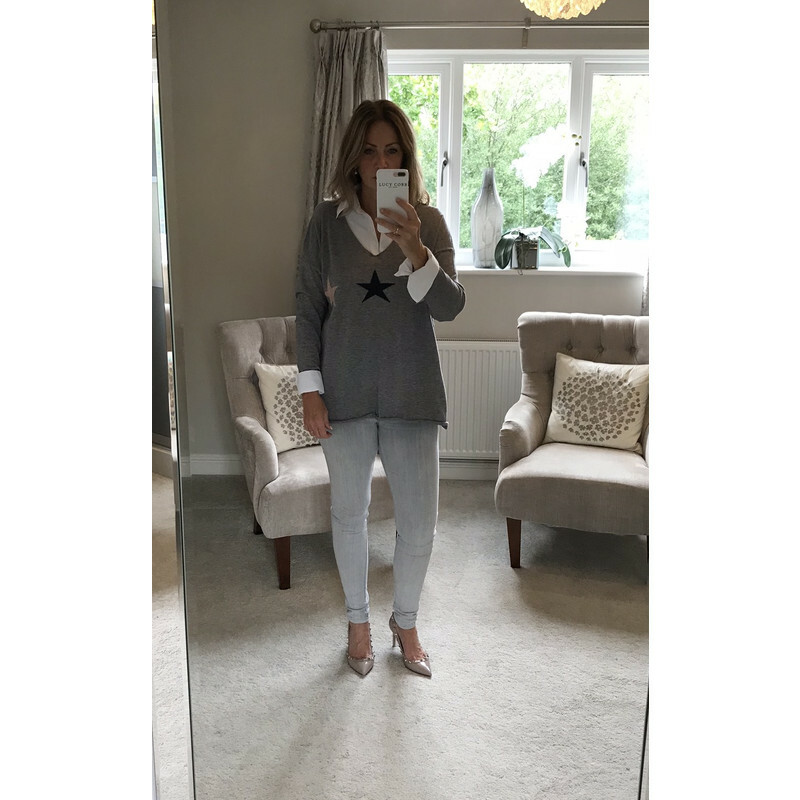 Sophie Star Jumper is a knitted v neck jumper. 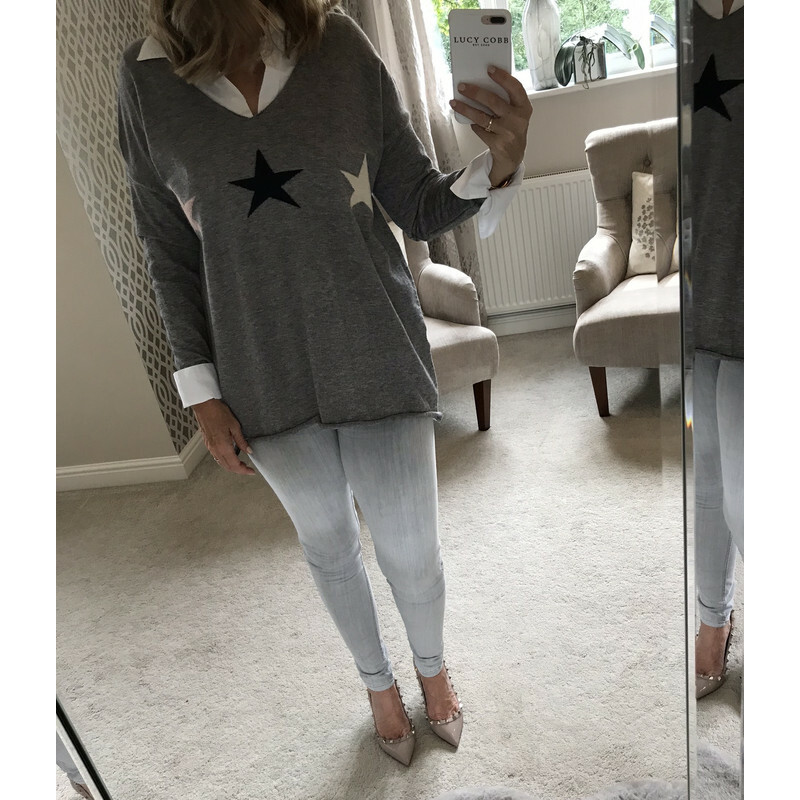 Super soft and lightweight this long sleeve jumper is perfect for the colder seasons. 47% Viscose. 27% Polyamide. 8% Microfibre. 18% Lana Wool.